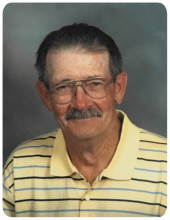 Charlie Combs, 83, of Middletown, died Wednesday, October 24, 2018, at Ohio's Hospice of Butler & Warren Counties. He was born in Perry County, Kentucky on November 26, 1934 to parents John and Fayma Combs. Charlie attended Monroe High School where he played football and ran track. He served his country in the United States Army and retired from General Motors after 30 years. Charlie is survived by his wife, Lynn Combs; daughter, Tracy (Keith) Tucker; sons, Jeff Combs & Greg Combs; brother, Desmond Combs; sisters, Molly Lakes, Atha Powell & Kathy Coulter; and grandson, Grant Tucker. He was preceded in death by his parents and sisters, Lillian Brooks & Dottie Collins. Funeral Service will be held Monday, October 29, 2018 at 1:30 pm at Wilson-Schramm-Spaulding Funeral Home, 3805 Roosevelt Blvd., Middletown with Pastor Chuck Wolfinbarger officiating. Visitation will be one hour prior to the service from 12:30 - 1:30 pm. Interment will be at Butler County Memorial Park, directly following the funeral. In lieu of flowers the family asks that memorial donations be made to Ohio's Hospice of Butler & Warren Counties, 5940 Long Meadow Dr., Franklin, OH 45005. To send flowers or a remembrance gift to the family of Charlie Combs, please visit our Tribute Store. "Email Address" would like to share the life celebration of Charlie Combs. Click on the "link" to go to share a favorite memory or leave a condolence message for the family.